Jeffrey was born and raised in Thomaston, Georgia. He graduated from Upson-Lee High School in 1994 and then attended the University of Georgia where he graduated with honors with a degree in Political Science. While in high school and during his undergrad studies, Jeffrey worked at his family owned business in Thomaston. Because Jeffrey’s mom was a lifelong educator, Jeffrey felt the need to continue his education and, therefore, decided to go to law school. He attended Walter F. George School of Law in Macon, Georgia and graduated with his Juris Doctorate degree in 2001. 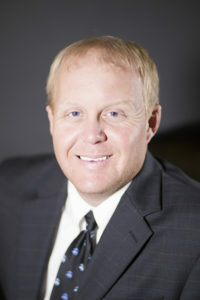 While in law school, Jeffrey began working at Virgil L. Brown & Associates. Because he grew up in the law enforcement community (his dad is a retired Georgia State Trooper), Jeffrey fit right in and the transition into dealing with the judicial system was seamless. After passing the bar in October 2001, Jeffrey started practicing law at Virgil L. Brown & Associates. Email Jeffrey directly at jeffrey@virgilbrownlaw.com.